Red Plastic Shopping Basket Full Of Groceries Products. 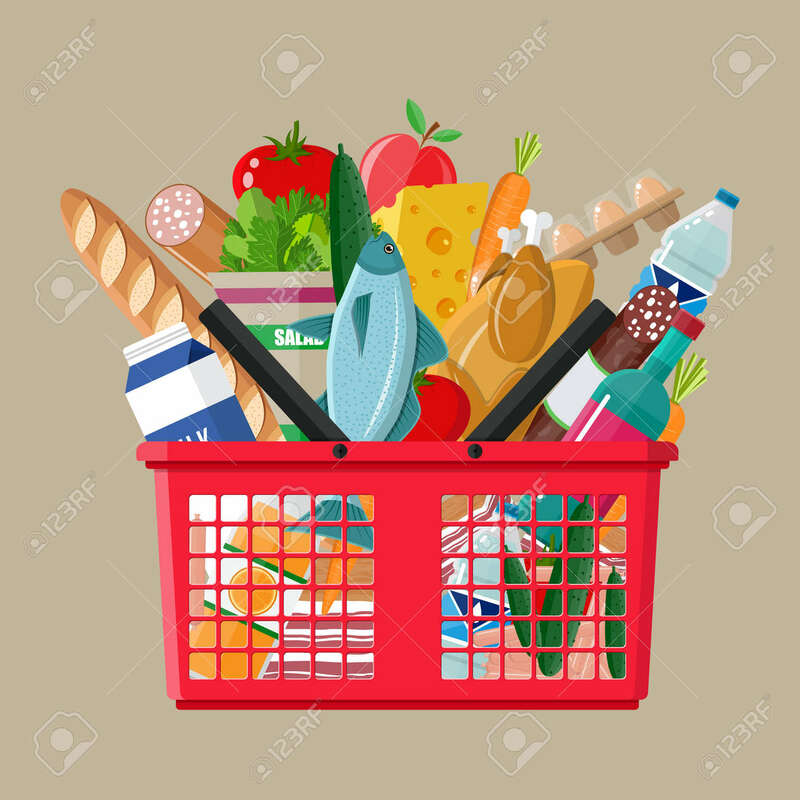 Grocery.. Royalty Free Cliparts, Vectors, And Stock Illustration. Image 67909194.